How dare those ruffians attack the village! The dauntless knight with trusted steed is in heroic pursuit. The stolen goods swiftly restored, the people praise the royal soldier clad in the Richard Darkened Chainmail Mantle. 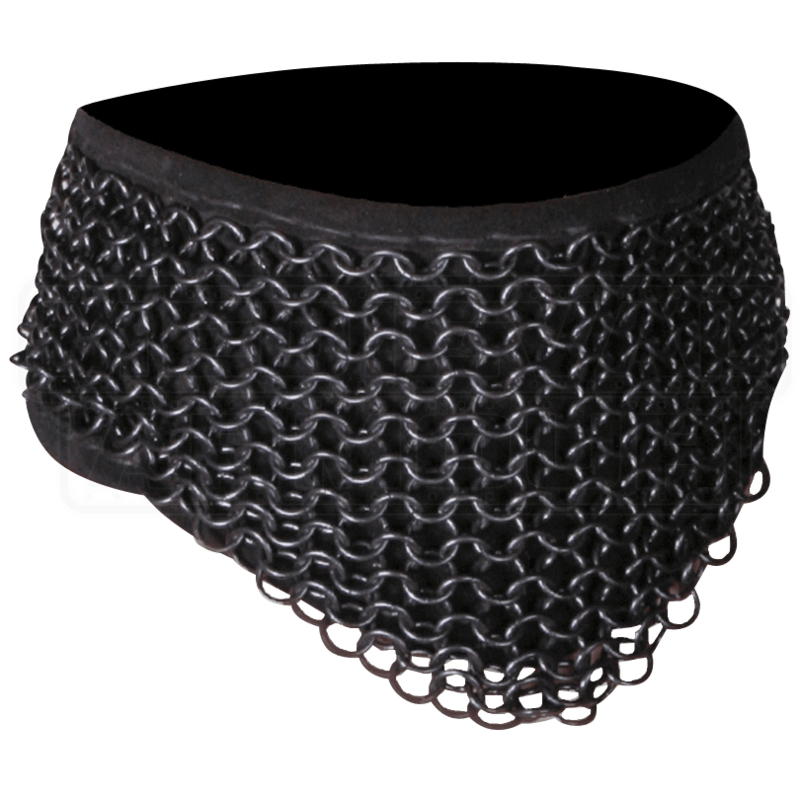 Admire the black suede leather and darkened steel of this fine medieval collar. Enjoy the trusted durability of the butted round rings linked in a classic 4-in-1 pattern. A specially formulated acidic treatment darkened the mild steel for increased rust resistance. 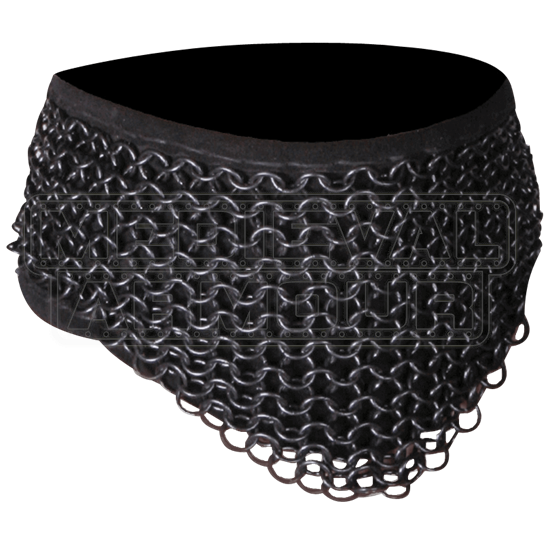 Add this classic chainmail armour to your brave knight attire. Strengthen your defense even further and combine this chainmail with the entire Richard armor set. Care Instructions - This chainmail armour is pre-coated in oil before shipment. Darkening aides in rust resistance, but oiling is necessary for maintenance. When storing this darkened chainmail, protect it from oxidation by coating with machine oil. This works great for folks who don't need or want a gorget. One warning, it runs very SMALL. I have a 16" collar and it just fits by having as loose as it can go.